In a recent interview with USA Today, rapper 50 Cent (aka, Curtis James Jackson III) mentioned that he had purchased a smartphone simply for its camera. 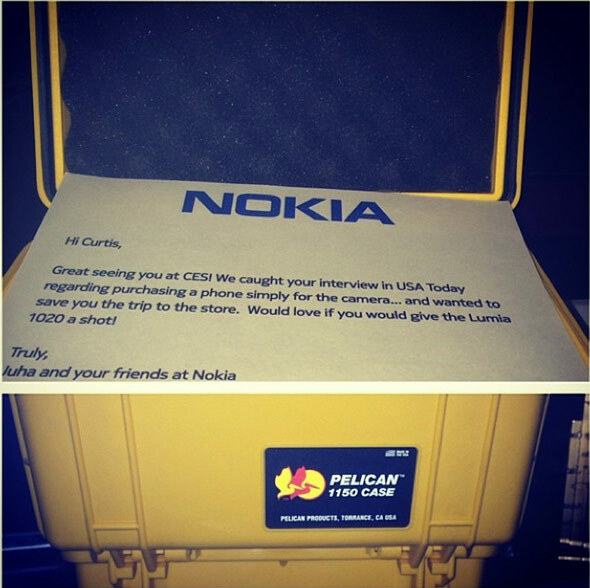 Seeing this, the Nokia guys sent him a Lumia 1020 in a yellow package. So he got the phone and has been playing with it for a while and 3 days ago, he (50 Cent) posted this on his Instagram. It is undeniable that the Lumia 1020 with 41 megapixels camera is one of the best mobile cameras in the market now. Let’s see if 50 Cent would post anymore updates in the future.